I Nice Apartment on a Golf Course! Property 5: I Nice Apartment on a Golf Course! IV Nice Apartment on a Golf Course! Property 10: IV Nice Apartment on a Golf Course! Greenville Townhouse Close to Everything- 3 minutes to Vidant and 7 min to ECU! Property 12: Greenville Townhouse Close to Everything- 3 minutes to Vidant and 7 min to ECU! III Nice Apartment on a Golf Course! Property 17: III Nice Apartment on a Golf Course! II Nice Apartment on a Golf Course! Property 22: II Nice Apartment on a Golf Course! 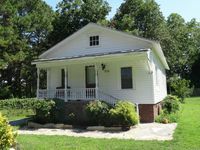 We enjoyed our stay at the Farmville house - the home is spacious and elegant. We liked Farmville itself, attending the church behind the house on Sunday, visiting the local gun shop (owned and run by a savvy woman! ), the antique store, the Salvation Army, and even Piggly Wiggly. We like cooking our own food and were able to do this easily. The home is filled with antiques, which lends to the charm. There are a few things that might be considered a negative. Showering in the claw-foot tub could be a hazard for some people. The shower in the tubs works just fine, but watch out for the hot water to disappear if you're doing dishes at the same time. It had just turned a bit cold when we got there and the house was a bit drafty. Even so, we all thought it was a terrific place to stay and quite enjoyed it. It was fun and different and we would do it again. Thanks, James.